This one-day conference brings together academics and activists to discuss this emerging area of Latin American studies' scholarship. The Society for Latin American Studies and the University of Bath Gender & Sexuality Network are holding a one-day conference to discuss aspects of sexual orientation and gender identity politics in Latin America. 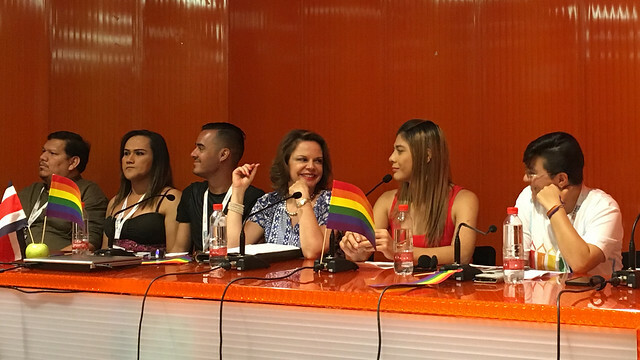 The event aims to bring together academics and activists, and invites inter-disciplinary approaches to the study of sexual orientation and gender identity (SOGI) in Latin America. As Latin America is now lauded for its rapid advance in this area, one aim of the conference is to establish the contribution of scholarship on the global south to discourses emerging from the global north. To what lengths are these processes challenging or reinforcing hegemonic discourses? Raewyn Connell (2015) has highlighted the importance of feminism emerging from the global south, and the challenges that southern activism presents to the established norms that have historically emanated from the north. With the global south simultaneously seen as the leading light in SOGI rights (in Latin America) (Corrales, 2015), and the locus of international backlash (in Africa and the Caribbean) (Wintemute, 2017), to what extent can Latin American initiatives present a model for advance in other areas of the southern hemisphere? What legal, political and activist discourses and practices emerge from the Latin American contexts that suggest a break with conventional northern thinking? With these questions at the centre of it, the conference presents an important forum to discuss this emerging and influential area of Latin American studies' scholarship. The papers presented at the conference will be collated for a special issue of a journal such as Latin American Perspectives or similar.